As many of you know, I have a passion for lifelong learning and the field of education. Reflecting upon 3 years of business, I continue to notice the parallels between marketing strategy and the instructional design process. In the first blog I discussed the first two steps in the instructional design and its similarity to marketing strategy. 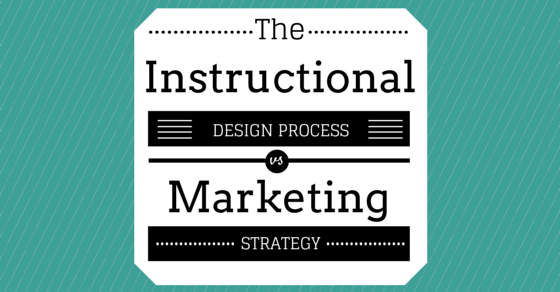 Today’s blog will focus on the third step in the instructional design and its similarity to marketing strategy. According to Designing Effective Instruction a task analysis is the plan defining the required material, which is derived from the needs assessment, and contextual analysis. Because many instructional designers are experts in developing in curriculum, and not necessarily experts in specific topics, they will begin by working with a subject matter expert. The topic analysis is the information that will develop the framework for the curriculum, which includes facts, concepts, principles/rules, procedures, interpersonal skills, and attitudes. Much of the training that I provide focuses on facts about social media, including definitions, descriptions, and statistics. This component typically provides the learner with the concrete information they desire. In addition, social media training also includes a combination of principles (e.g. posting photos on Facebook will increase engagement) as well as procedures (e.g. explaining and providing time for learners to practice posting photos to Facebook). i) What steps are required to complete the task? ii) Reviewing each step, what knowledge does the learner require? iii) If there is an outlying variable, what should the learner do? Many times the third step is the development of a marketing plan. This plan combines information previously collected from market research, as well as goals and target audience. An action plan will be developed for the purpose of achieving previously established goals. While this comparison may seem a bit more abstract, the parallels between instructional design and marketing strategy still exist. In both cases the designer, or strategist is required to use past information, and newly set goals to develop a plan of attack for the project at-hand. 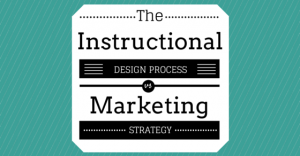 In blog I discuss the first two steps in the instructional design and it’s similarity to marketing strategy. According to the instructional design process, the first step with any new project is the completion of a needs assessment, which answers the question: “Why is instruction required?” Very loosely, this question begins to formulate the groundwork for developing learning goals for the project or organization. A needs assessment is used to identify gaps between actual and ideal performance and knowledge. There are, typically, four steps to the needs assessment process, including planning, data collection and analysis, and final report with recommendations. Before a business can move forward, it is important to understand the business’ current situation. Who are the current customers? What marketing tactics are currently implemented? How well is the current strategy working? What do you want to achieve in the coming week, month, year? Compiling this information into a document, will provide great insight into what has worked (and not worked) for this business. The next step is to research strategies and tactics for the specific company. At this point, a report is developed and presented to the client. In the second step, the instructional designer begins to understand his or her learners, including learning styles, general characteristics (e.g. age), and entry characteristics (e.g. educational background). During this phase the designer gains a complete picture of the learners, and what learning environment works best for them. 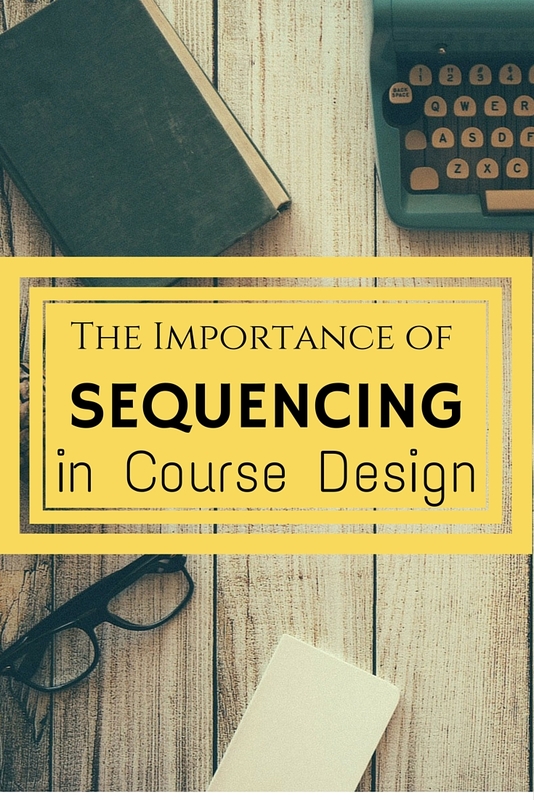 Understanding this information allows the designer to create curriculum that is relevant to the learner, as well as present it in a way such that it is applicable and memorable. Who is your customer? Who is your ideal customer? Answering these questions will provide great insight into a business’ customer. In addition, truthful answers to these questions will reveal the optimum marketing strategies. Not everyone consumes information and marketing in the same manner (i.e. young people use their mobile devices, while older people read newspapers). A business wants to use strategies that will work for their customers; understanding the target audience will help answer that question. As you can see, the first two steps have similar steps. We’ll see what the next few steps have in store! In January 2012, I started a small social media business in Kingston, Ontario. While there are many other facets to my business, including site design, ongoing maintenance, and strategy development, I pride myself on training small business owners how to effectively use social media in their business. Having said that, yes, I do know a fair amount about social media, just like many other great local companies. However, my advantage is that (soon!) I will have completed my Bachelor of Education in Adult Education. This online course offered through Brock University has opened my eyes to the underlying theories to adult learning. One of the assumptions of adult learning, as described by Knowles, is the immediacy of application, which means that an adult learner needs to learn something because there is a problem. This assumption is relevant to my business because I am not in the business of convincing people they need to use and implement social media marketing; rather, clients come to me because they don’t know how to use the platform and have a desire to learn. These are my ideal clients. Once my clients reach me, they have attempted to figure out how to use social media on their own. This is called informal learning, which is spontaneous and unstructured learning and can be very frustrating. I provide clients with non-formal learning, which is organized, short-term, voluntary education. The type of training I provide acts as a supplement to formal education, as it allows for quick reaction to respond to immediate needs of learners – a requirement for anyone in the social media field! This semester we are learning about instructional design, which seeks to make learning more effective and efficient. Sounds like my kind of learning! This is important to you because instructional design seeks to develop and deliver more effective training in less time. That means that you (and your employees) are more productive, and productivity translates into dollars for your business. As I progress through the course, I will be posting all my “journaling” to my blog. Of course, I will be integrating information about social media, and how I can make you more effective in your day-to-day social media updates!